Even by today’s standards, Fantasia, stands as a huge experimental piece of media. There is nothing else quite like it (Unless you count its follow-up Fantasia 2000). 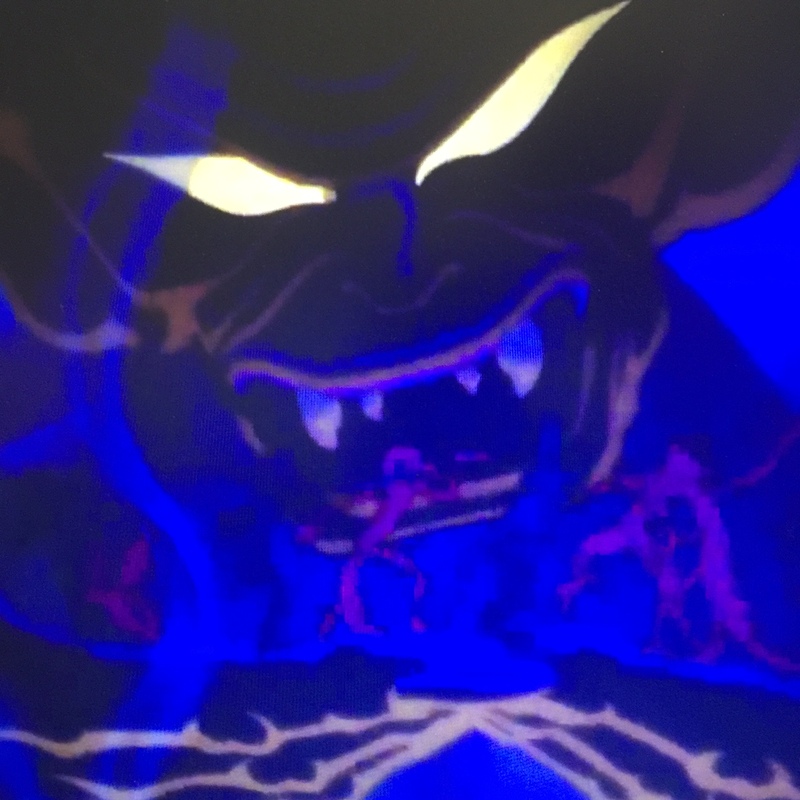 As Deems Taylor, the master of ceremonies in the film, says early on, Fantasia is all about allowing animators, with little to no understanding of musical structure, to create images and stories out of the sounds heard in a classical piece of music. What follows is a collection of eight shorts which range from the abstract to the comical to the immensely imaginative and finally concludes with easily one of the darkest stories Disney has ever put on screen. Disney was actually one of the first companies to ever find a way to attach music to film in a way that made it possible to animate for a specific piece of music. The early pioneered version of this technology can be seen in the ground breaking (And career making) film, Steamboat Willy. In fact, it was that very mouse star which led to the creation of Fantasia. Originally a short all on its own, The Sorcerer’s Apprentice was meant to be another one of Walt’s ‘Silly Symphonies,’ a long line of short films with independent storylines. Demand for Mickey had fallen, and Walt thought this would be a fun way to show the big eared hero in a new light. 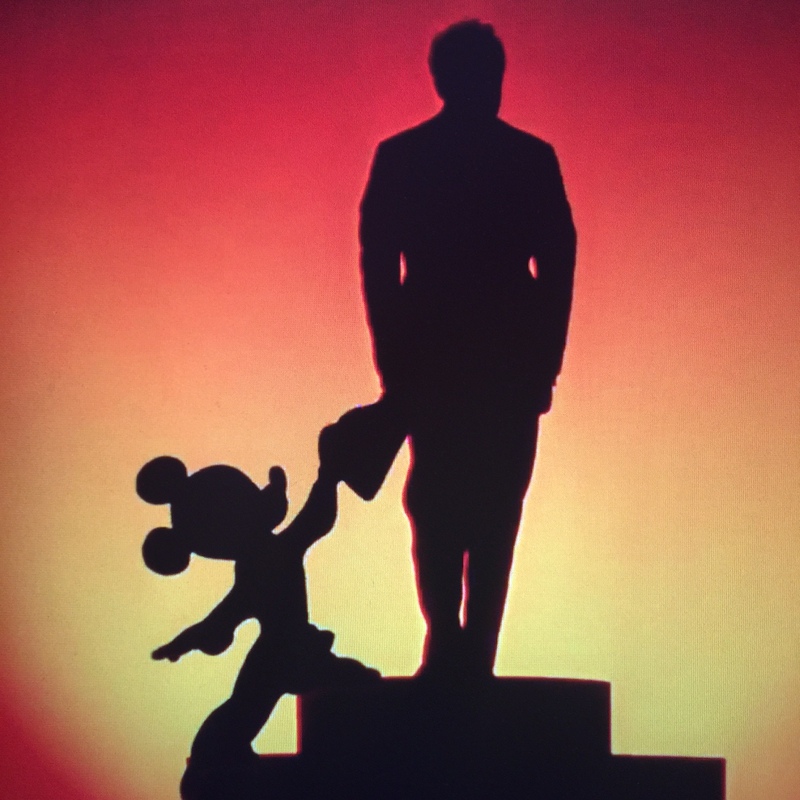 Mickey congratulates conductor Leopold Stokowski, though on what, it isn’t super clear. After a long development stage, the studio had spent far too much money on the short and even Walt’s distributor was hesitant to take the project, knowing full well that it would not make back what it had cost. This led to ‘The Sorcerer’s Apprentice,’ being packaged along with seven other shorts in a similar musical vein which would become Fantasia. 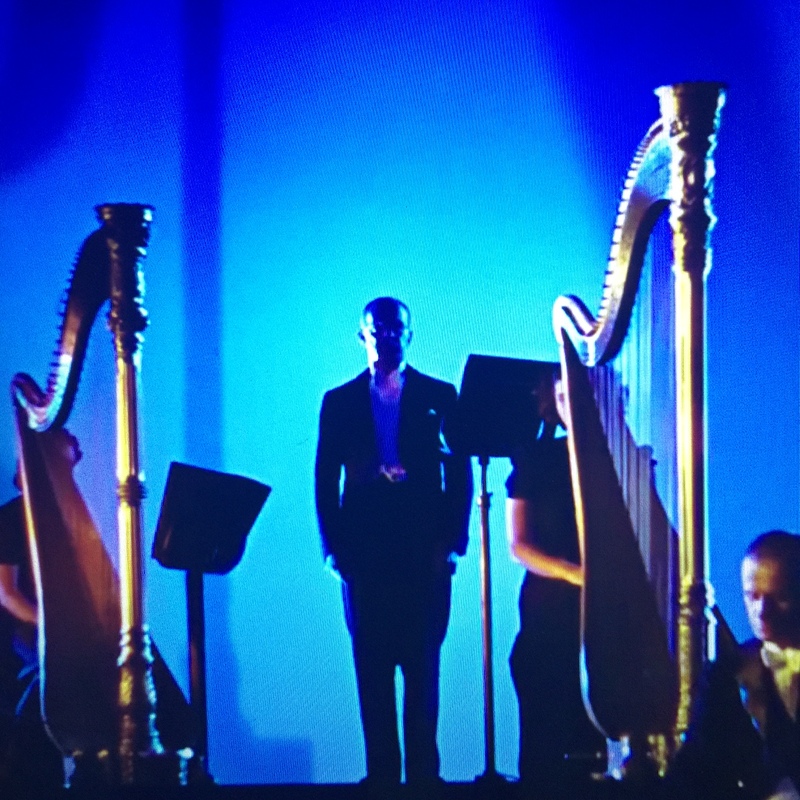 Fantasia was recorded using multiple audio channels, allowing the creators the ability to mix the sound on their own, after the orchestra had left, enabling them to heighten or lower sounds based on what was on the screen at the time. It was then reproduced in theaters using a technology known as Fantasound, which enabled the music to come from all sides of the audience. 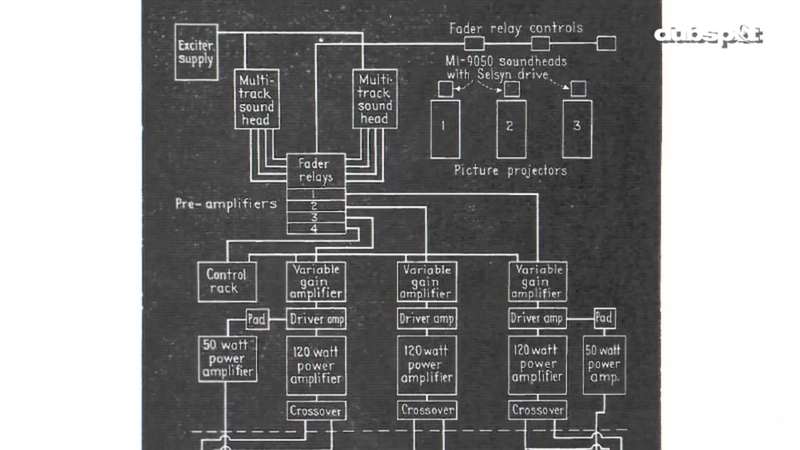 We now know this is as stereophonic sound. This system was such a force of sounds all around the audience that some people actually complained the film was too noisy. I’m guessing those folks would not enjoy a Tranformers film. The set up for Fantasound. Image courtesy of Dubspot. I could literally write an entire article about JUST the history of this film as it is so rich and interesting, but I will resist the urge. Allow me, though, to tell one more story as it is my favorite which I have uncovered in my research of this film. Fantasound, which was only fully installed in the Carthay Theater (Home of the Snow White premiere) in Los Angeles and the Broadway in New York City, required that the individual speakers at the rear of the audience be turned on individually with a switch. The trouble was, the stage hands often forgot to turn them on. To Walt, who I am slowly learning was a man all about the details and the perfection of a moment, this would not do. He and his team developed a notch in the film itself which, when played through the projector would trigger these speakers to automatically turn on. Talk about a film which pushed technology to new heights! I remember thinking Fantasia was long and boring when I was younger. I loved the part with dinosaurs but found the rest of it very tedious. Re-watching it now, I thought that I would probably feel the same way but this wasn’t true. Seeing the interpretation of music now seems so interesting and fun and watching the way that these artists took music, which in many cases I’d heard before, and put these dazzling images to it is really hypnotizing. I found that I got lost in it. There is a slow build as we start with simple images and shapes and the idea that as we listen to this music, our mind starts to wander, not necessarily to anything in particular, just to a variety of abstract shapes and colors. Then we get into the meat of the show. We see fairies dancing amidst various plants and fish and they are all adorable, yet still simple, allowing us to ease into this experience. After all, even an audience member today would be apprehensive if you told them they were about to sit through an animated concert. 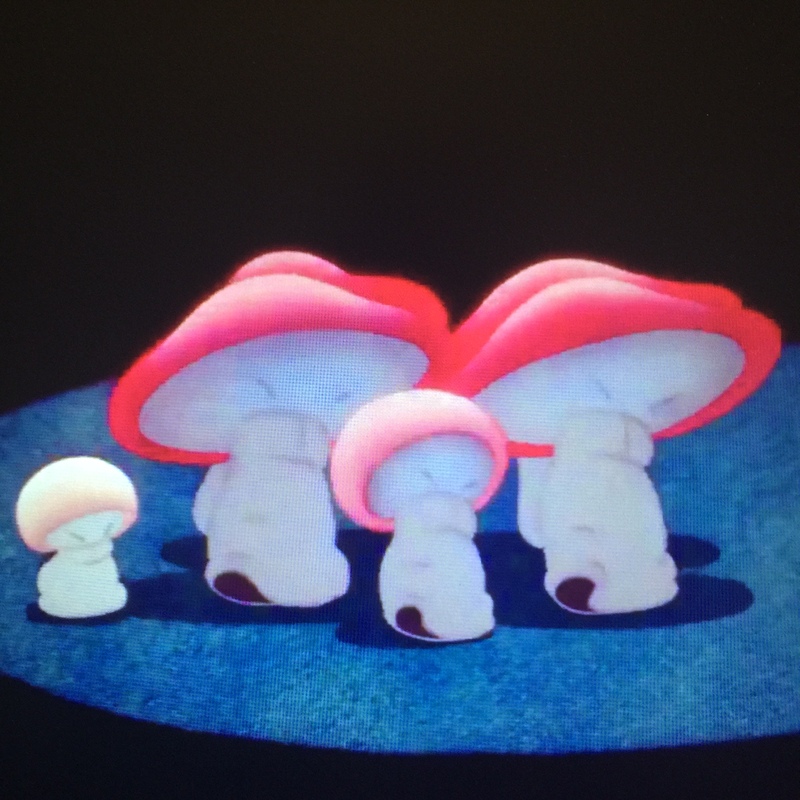 These mushrooms are so adorable…though oddly Asian. 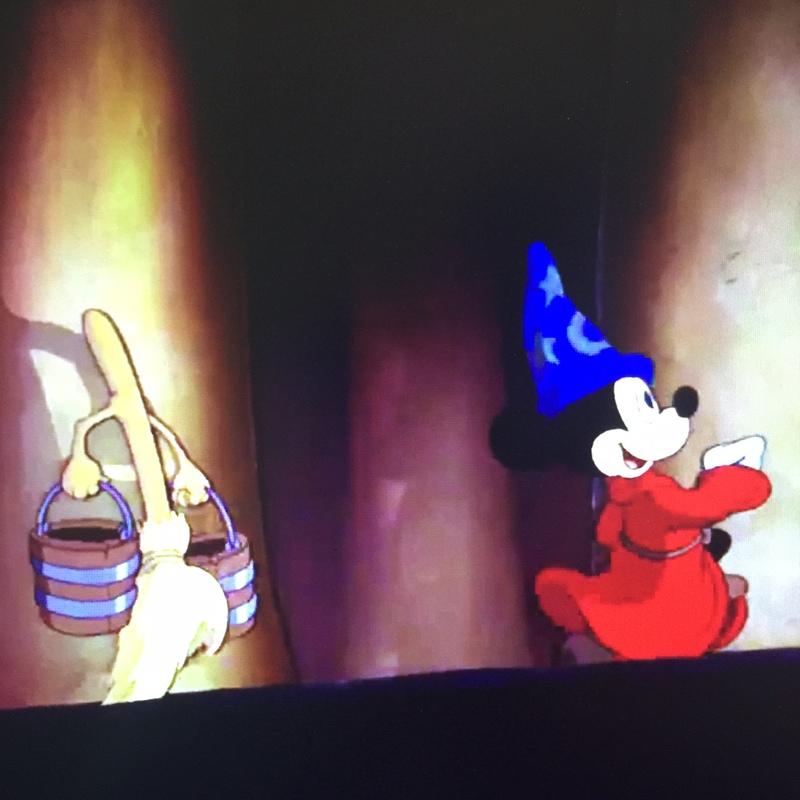 We then finally see Mickey in all his naughty goodness as he attempts to do magic to make work easier on himself and then finds that the broom he’s enchanted is out of control. This is easily the most memorable of the pieces, not only because of Mickey, but also because it has the most cohesive story. It is easy to see a beginning, middle and end and even find time to learn a little about doing your chores and not looking for the easy way out. 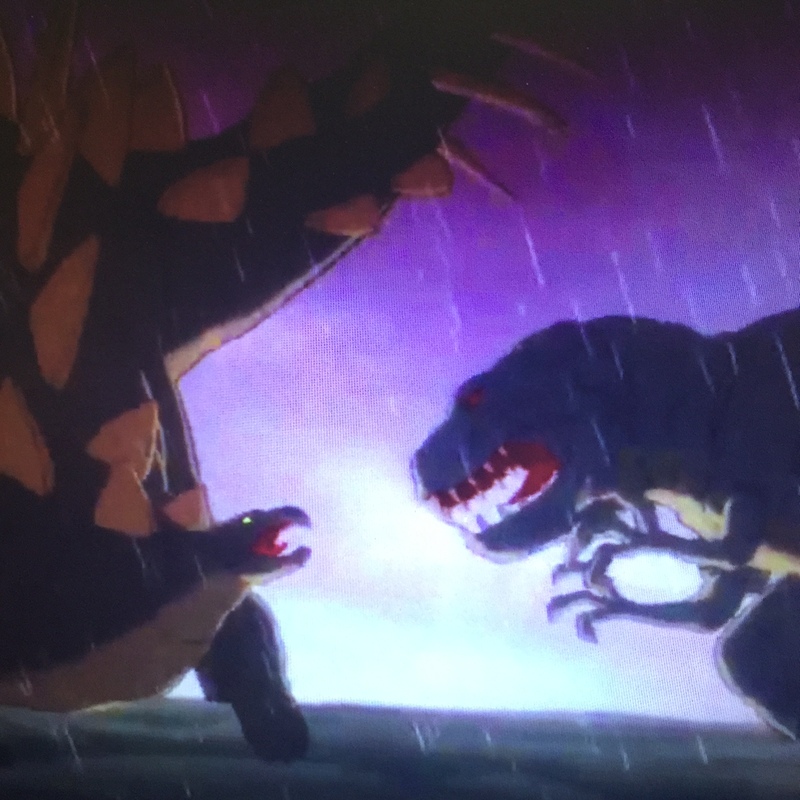 Surprisingly, my favorite part as a child, the dinosaurs, was my least favorite this time around. It’s long and drawn out and the dinosaurs seem cold and evil. Not to say that dinosaurs are happy and fun, but in a film where everything else seems to burst with charm, these dinos really stick out as being not the life of the party. Contrary to this though, I actually like the idea of Disney being a little darker and creepier. I’ve mentioned this in my previous two posts, but the moments of scariness that Disney finds in these early films really stand out since I don’t really expect it from the Disney of today. 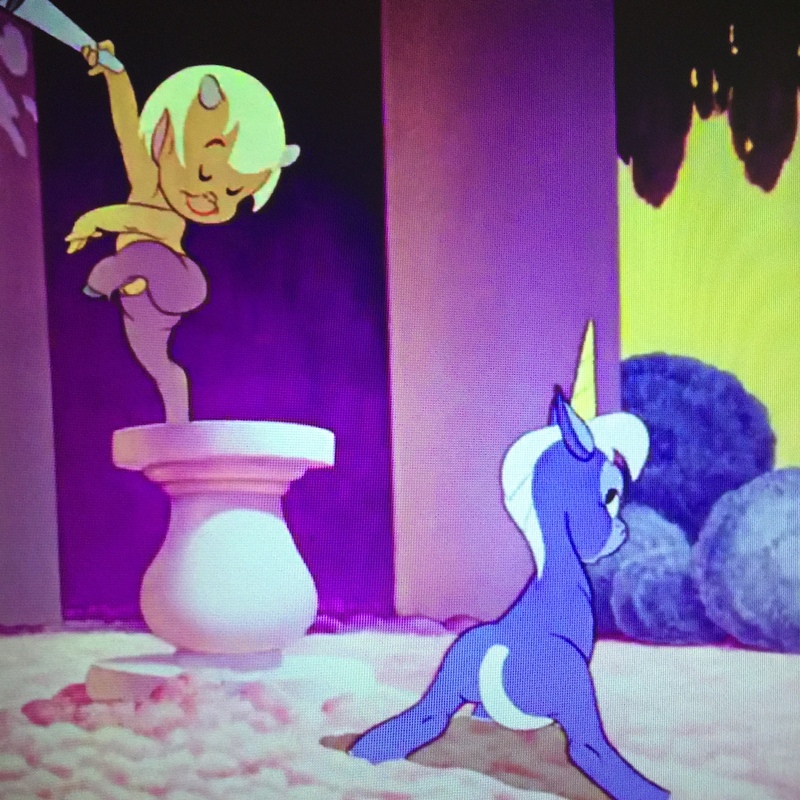 We move on to an adorable recreation of Mount Olympus, teaming with Centaurs and as our host is quick to point out, Centaurettes, as well as pegasus and unicorns. It’s very fun and colorful. I find that it is becoming common that I see something in each film which would not be tolerated by today’s family audiences. Isn’t it odd that we seem to have regressed as a society. Here, we see naked babies as well as bare breasted Centaurettes and it seems perfectly fine. I know my mom had no problem showing me this when I was young. Yet, put any of this in today’s animated films and the backlash would be insane. In order to retain our younger audiences, I’ll allow you to see this image as opposed to any baby butts. And there were A LOT of baby butts to choose from. We then jump to what may arguably be my favorite on this re-watch, the Dance of the Hours. 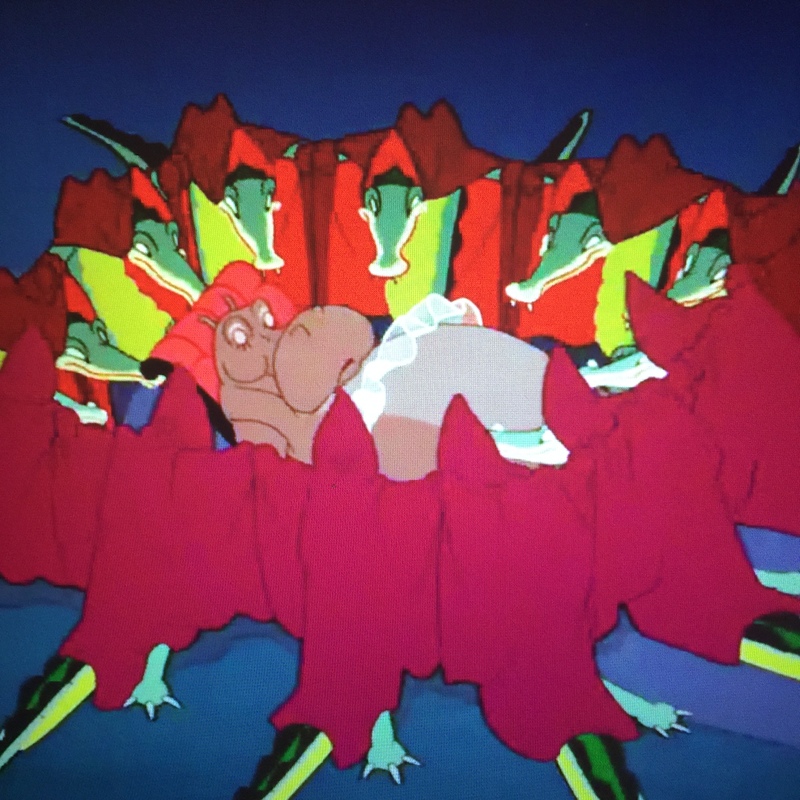 The ostriches and Hippos, Elephants and Crocodiles put on a show that is probably the most characteristically Disney of the whole film. It is a fun and fast romp and filled with laughs as the Hippo and the Crocodile dance and chase each other until the whole place collapses. Don’t fall asleep with this gang around. We end with Night on Bald Mountain, which is still very creepy, even to this day. The story tells of what happens on Halloween night when all the creatures of hell go up to the mountain to dance with Satan himself. It’s interesting to end on such a scary note, but given that the light stops him and then we hear the world renowned Ave Maria, it ends up being quite uplifting. I think it also speaks volumes to Walt’s religious side. I’ve read that he often mentioned his religion as a reason for his success yet I’ve also found that he didn’t often go to church. I think, for Walt, religion was something he wanted to show through his work, as opposed to day to day practice. Keep in mind, I’m only speculating on that last part. Even today, this guy is still terrifying. Overall, this was a fun film to watch again. I knew every segment was coming but my response to them now is much different than when I was a child. I was much more interested in the quiet moments, the bits where there was only the slight change in music which allowed a fairy’s wing to raise or a dinosaur to chew differently. The only part of the film which feels truly aged is Deems Taylor’s hosting skills, which seem dry and too on the nose. He practically gives away the ending of every piece before allowing us to watch on our own. I know this is more to blame on the script but he just takes away a lot of the magic from an otherwise fantastic film. In one particularly bad part early on, it seems that he was not aware anyone was filming and then awkwardly starts talking when he realizes the camera is rolling. Conductor Leopold Stokovsky loved the idea and music of The Sorcerer’s Apprentice so much that he offered to conduct the piece, with the help of the Philadelphia Orchestra, for free. Years later, while watching the originally titled The Concert Feature, it is easy to see why he was so quick to jump at this project. Fantasia is unlike anything else. Nothing has really managed to recreate it. Few films garner the respect and the enthusiasm of this film Every time I mentioned that this was next on the list to someone, they immediately had to tell me their favorite segment and why. While it is not lovable or cute or crazily adventurous as other Disney films, it stands as a truly great experiment which changed the way we watched (and heard) film forever. A magical dream for a magical mouse. SO what do you guys think? Which segment is your favorite? I hope you are all enjoying the blog. I will be updating every Sunday and Wednesday as this project continues. Make sure to Like and Comment and share like crazy! I want to hear your thoughts. Pingback: FANTASIA TERMINATOR 2 [Jaysen Headley’s Disney Vault Project #3 + Terminator 2: Judgement Day] | KCRRLives! I know it’s not a bad film from a technical aspect, but like you said about your experience with this movie when you were younger, I just find this movie long and boring. One other blogger likened this film to an art museum. It’s something informative and entertaining, but not for everybody. It’s only for certain people. I personally don’t have a predilection towards classical music, so I just find this movie tedious. I much prefer the sequel which I’m sure you’ll get to sometime later in your journey. If I had to pick a favorite segment, it would be the ‘The Sorcerer’s Apprentice’ segment. I LOVE the sequel which we’ll get to. I really do love this movie despite the fact that it’s not necessarily entertaining. I find it very fun to watch once every five years or so. Cool, better you than me, lol! 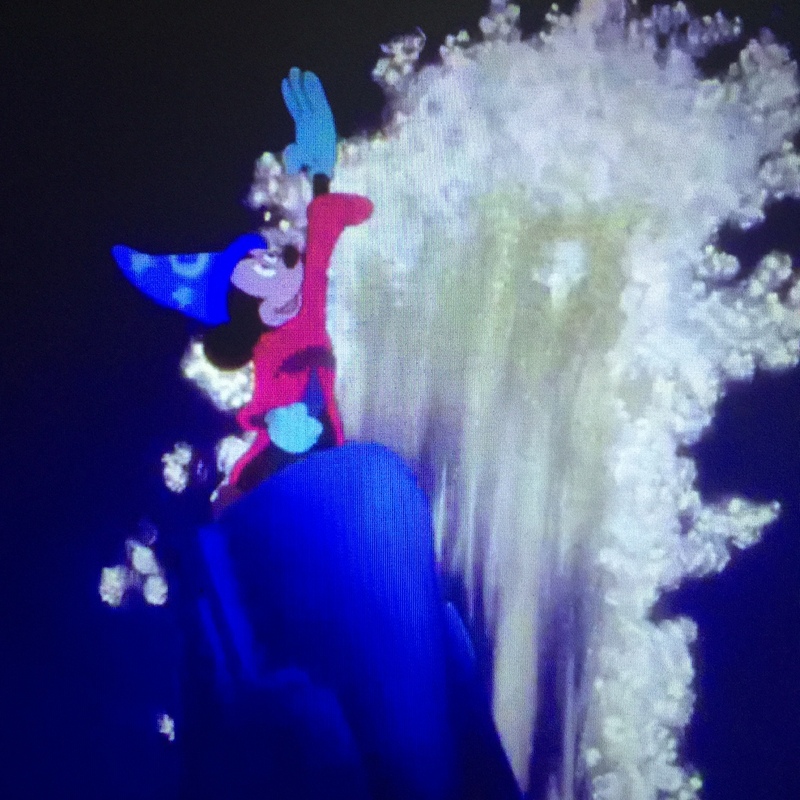 I’d rank Fantasia only slightly behind Pinocchio when it comes to favourite Disney films. While I always find it fun, the anthology style prevents it from becoming really moving. Interesting series, by the by. I’ve been on a bit of a Disney kick myself lately. Yay! Thanks for the read Josh. I really liked Pinoccho. It was probably the most solid so far in my opinion. My mother ABSOLUTELY loved Fantasia which she saw in America when I was two years old. It was the first of its kind, and of course it used classical music which made it “good”. It’s the one movie I remember she took us to with pleasure – which made it more notable!